Within its collection the Trinidad Museum has an artifact that consists of three individual wood pieces that are believed to be the remnants of the original wood cross erected by the Spanish in 1775. 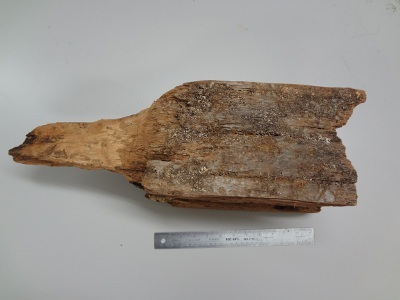 The Trinidad museum was uncertain as to the validity of this claim and so a thorough investigation of the artifact was undertaken to determine if in fact these wood pieces are indeed the remnants of the original Spanish wood cross. Results from the investigation into the validity of the cross remnants yielded evidence that supports the plausibility that the artifact is possibly the remnants of the original Spanish cross erected in 1775. The report on the Trinidad cross artifact was created by Alexandra Cox as part of her internship program during the spring of 2015.